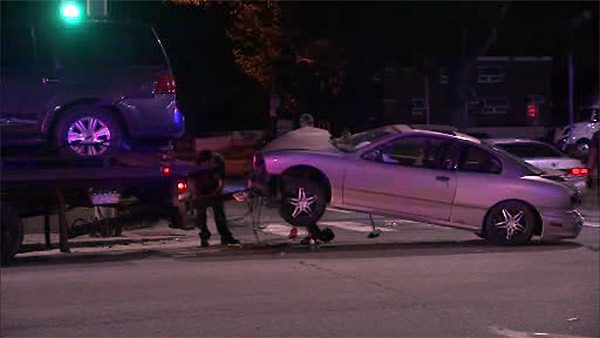 NORTHEAST PHILADELPHIA (WPVI) -- Two motorists were hospitalized after an overnight crash on Roosevelt Boulevard in Northeast Philadelphia. It happened at 3:15 a.m. Thursday on the boulevard at Cottman Avenue. Officials tell Action News an SUV and another vehicle collided in the intersection, sending one vehicle into a light pole. Both drivers were taken to an area hospital. Traffic was detoured around the crash scene as police investigated and crews worked to clear the wreckage.